Genuine OEM HP Ink Cartridge, Black. HP part number: HP 711 Black, CZ129A. Remanufactured HP Ink Cartridge, Black, High Capacity. Replaces HP part number: HP 711 Black, CZ133A. Remanufactured HP Ink Cartridge, Cyan. Replaces HP part number: HP 711 Cyan, CZ130A. Remanufactured HP Ink Cartridge, Magenta. 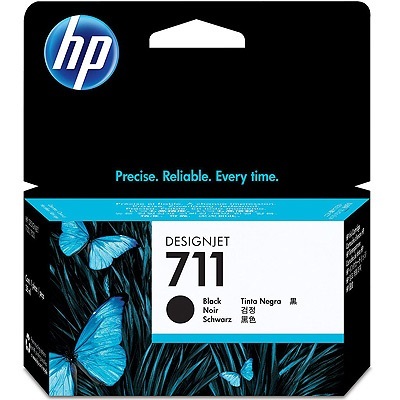 Replaces HP part number: HP 711 Magenta, CZ131A. Remanufactured HP Ink Cartridge, Yellow. Replaces HP part number: HP 711 Yellow, CZ132A.